Hore Abbey sits at the foot of the Rock of Cashel in Tipperary. 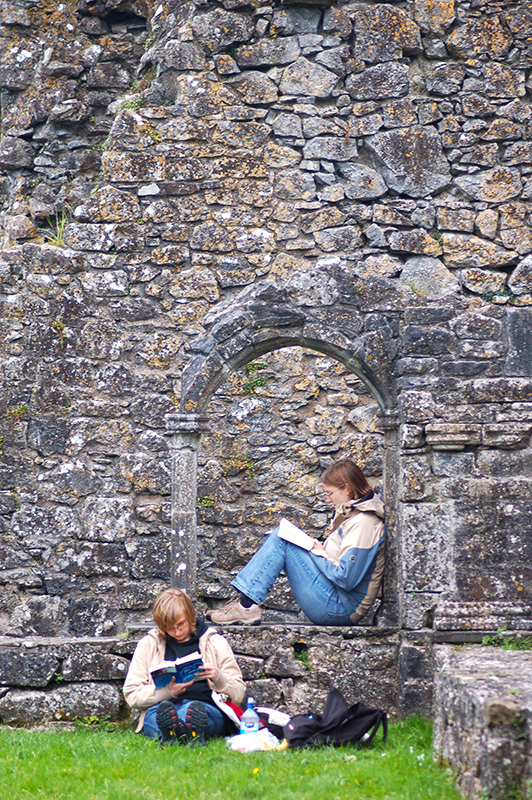 I have several pictures of the abbey that I like very much, but this is one of my favorites: a couple of teens–maybe tourists, maybe locals, who knows!–for whom sitting down amongst the ruins with a good book or two was the best way to pass a grey afternoon. I can’t help, looking at this picture, half imagining that they are Will Stanton and Jane Drew.